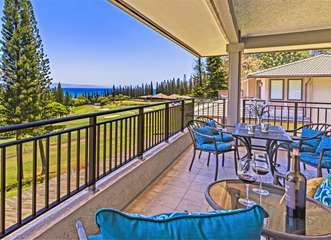 MAY SUPER SPECIAL PRICE REDUCTION! 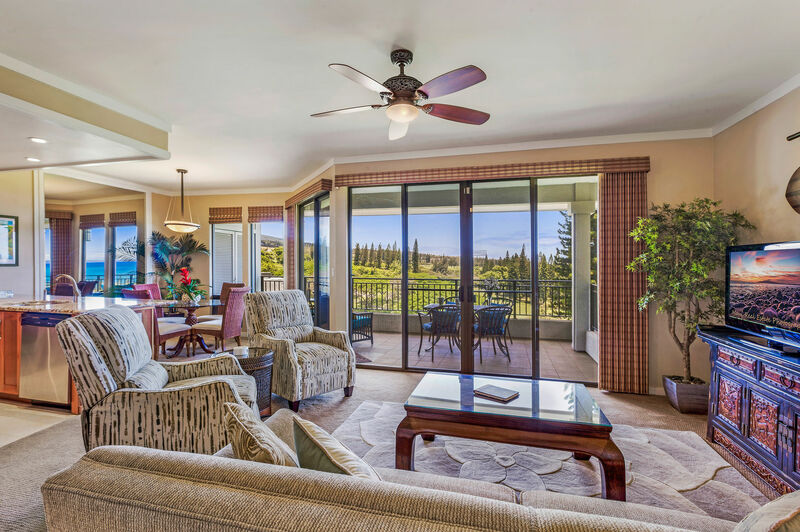 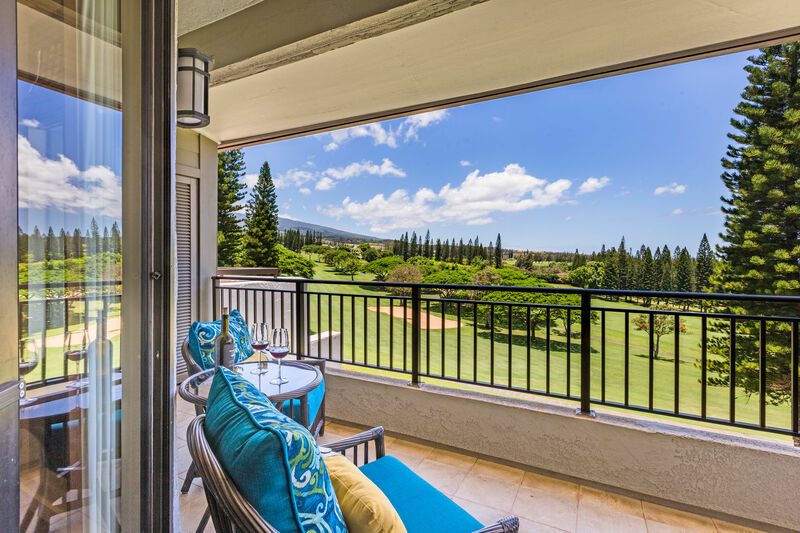 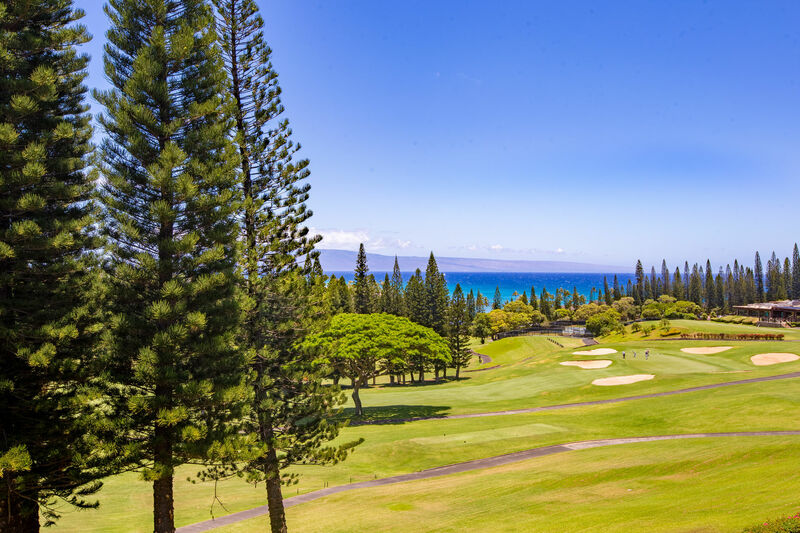 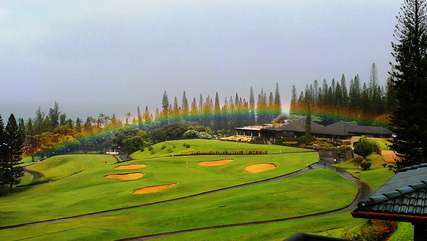 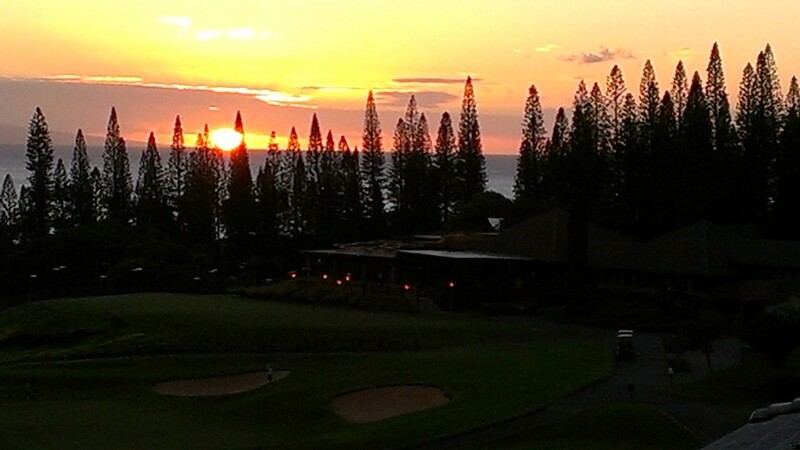 Welcome to the Kapalua Golf Villa we call Hale O Mana’o Nani. A Hawaiian phrase which translates to English 'House of Sweet Dreams'. 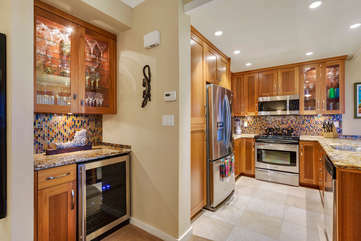 This custom remodeled 1 bedroom villa is very unique with all the special touches the owners have added that make it rise to the top quality standard we call Platinum. 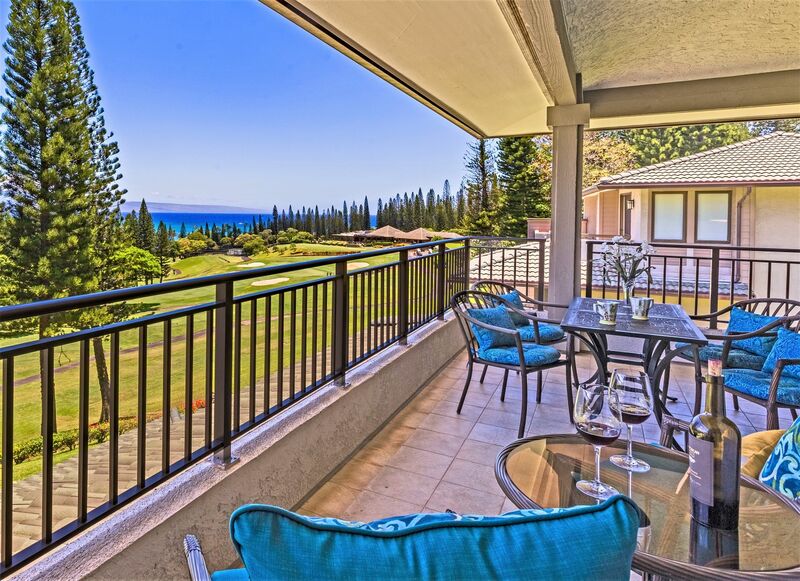 This villa is perfect for up to 2 adults max. 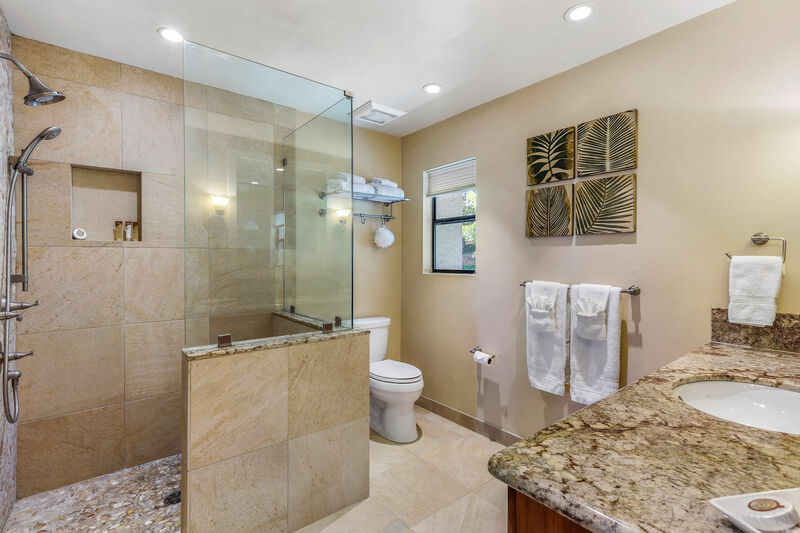 It is evident that every detail of this villa has been thought out to achieve a great flow from the redesigned kitchen and bathrooms with custom sustainable Lyptus wood cabinets and granite counter-tops and Stainless Steel appliances both large and small. Relax in the comfortable island style with Asian infused furnishings. 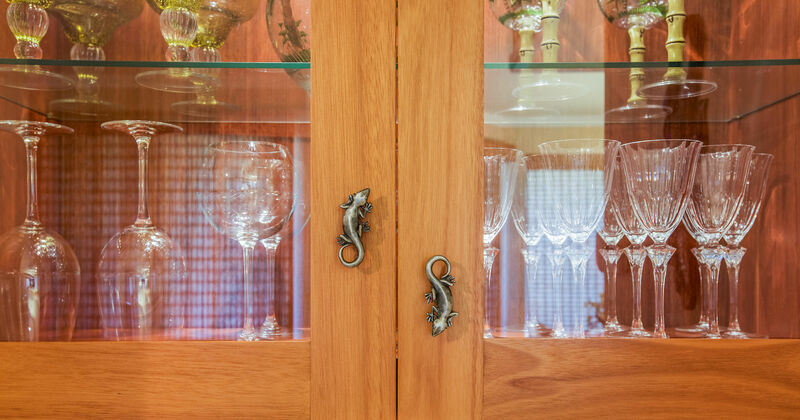 During the recent remodel, the owners redesigned a space for a wine and beverage bar with a temperature controlled wine cooler, adding to the many custom features that differentiate gold and 'Platinum' villas. 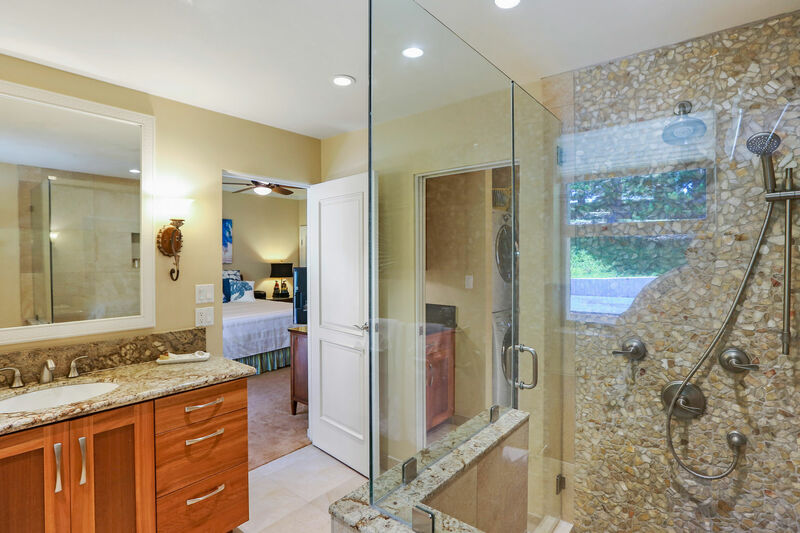 There are 2 bathrooms; one with a shower and one a powder bath providing plenty of versatility to the guests staying here. 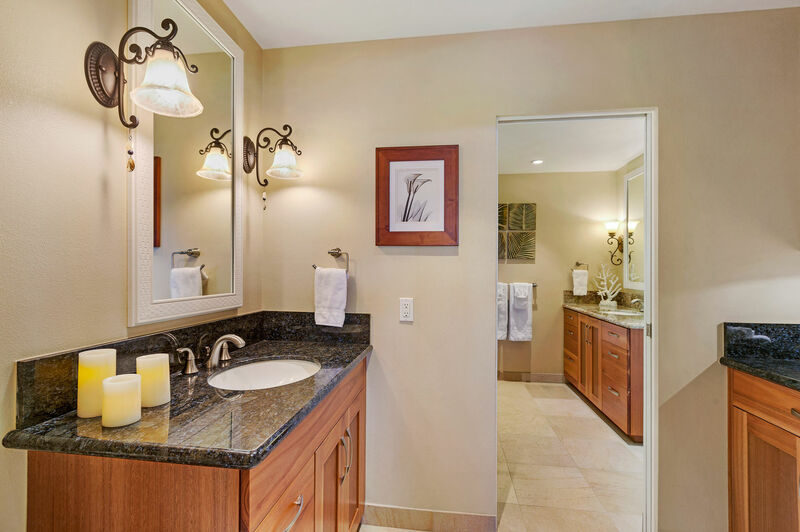 Both bathrooms are tastefully remodeled and clean. 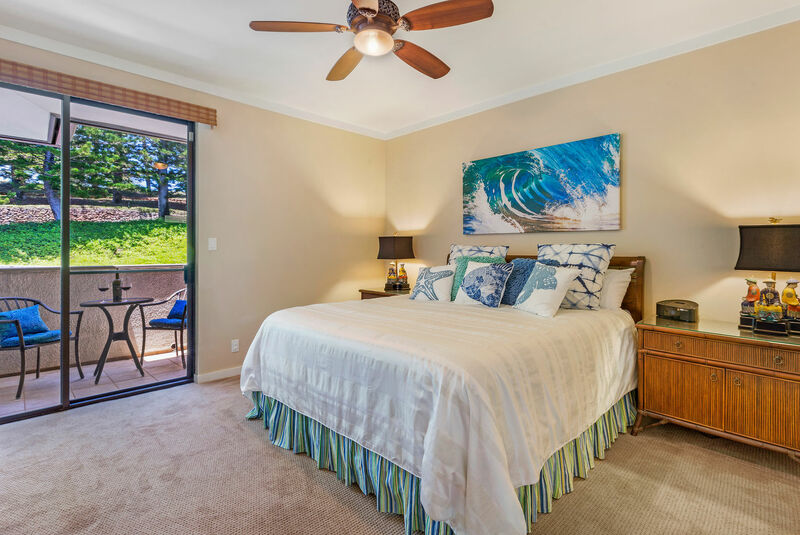 The master bedroom is spacious with a comfortable king size bed tastefully decorated with inspirations of the ocean and it's wildlife. Relax knowing your comforter ensemble is clean and enjoy the fresh linens. 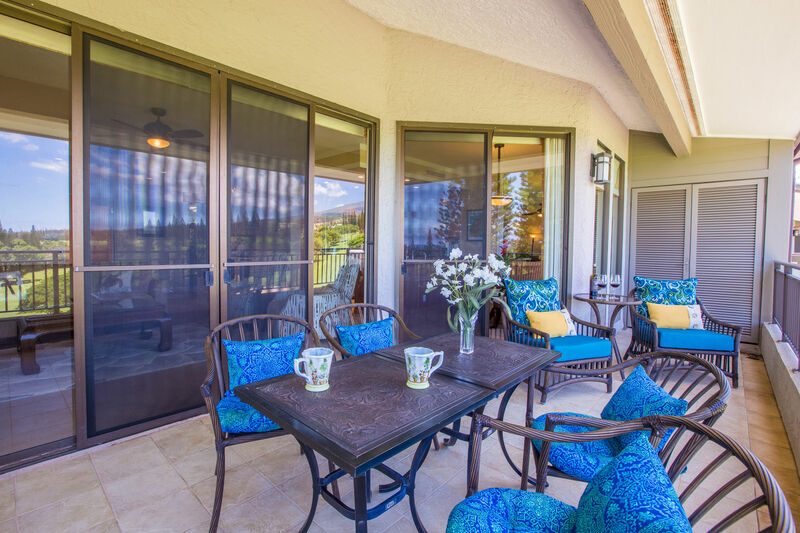 The outdoor lanai has room for four at the table plus two extra chairs to sit back and relax in. 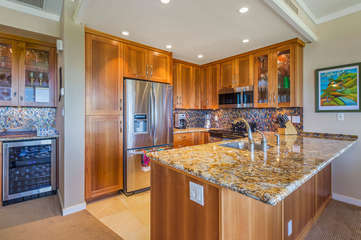 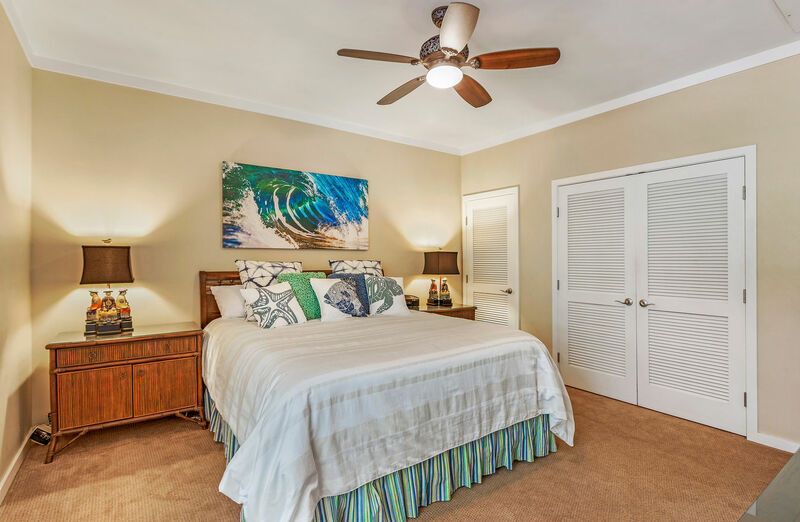 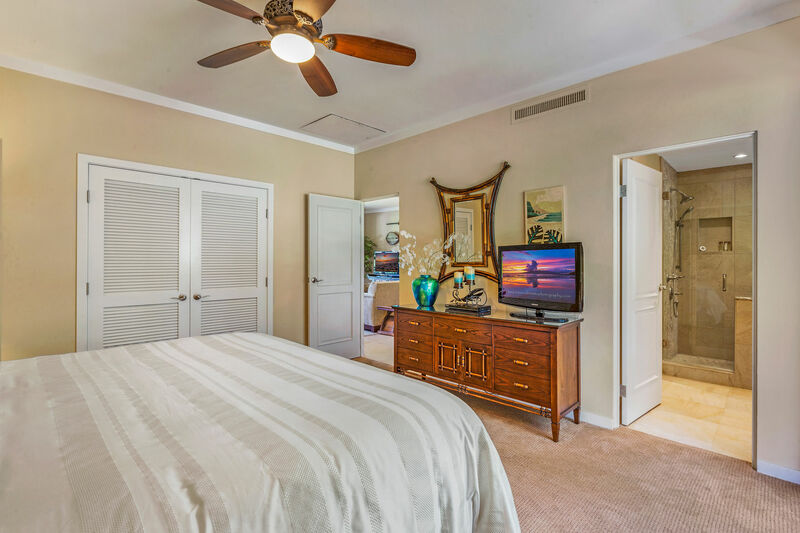 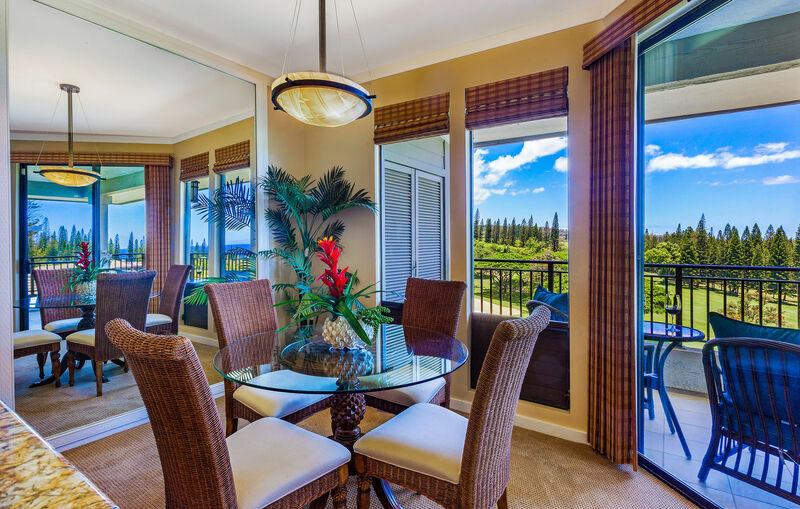 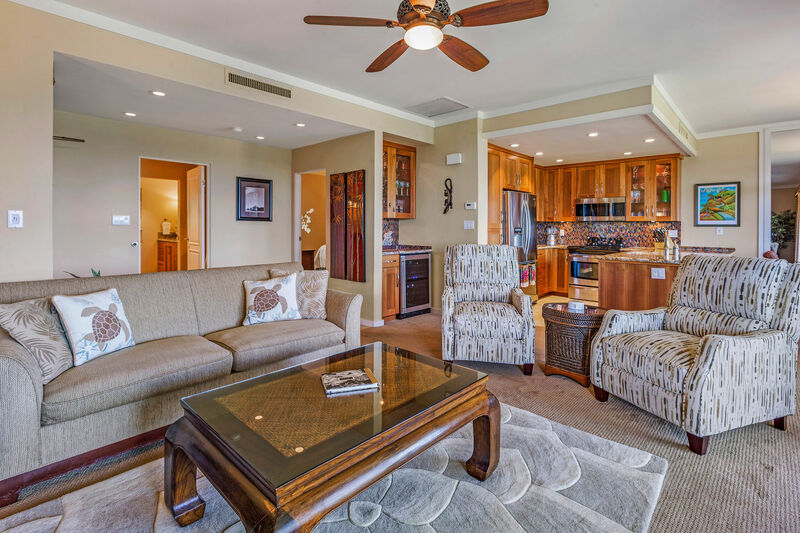 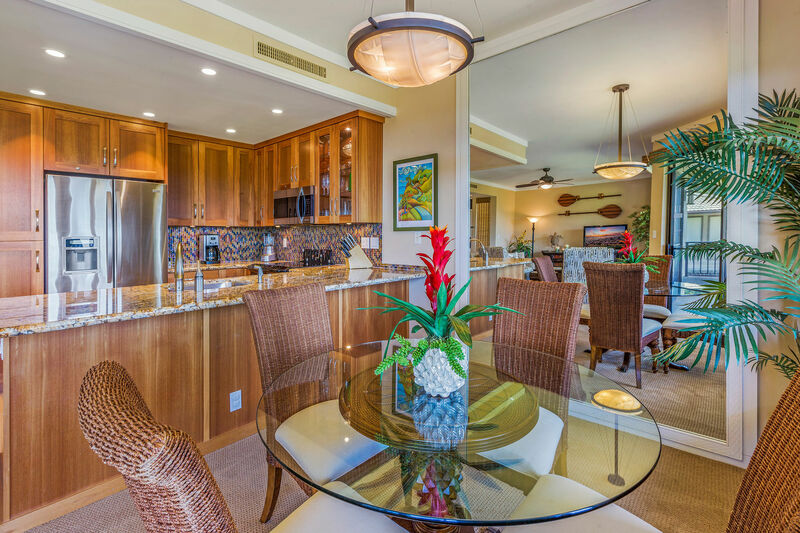 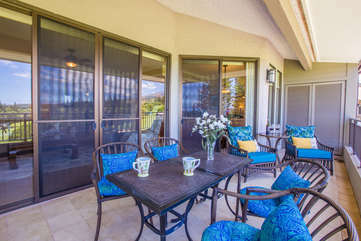 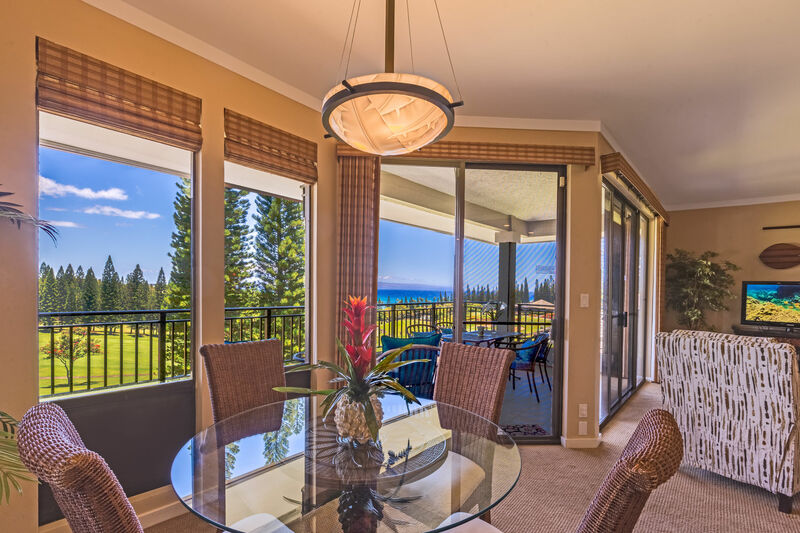 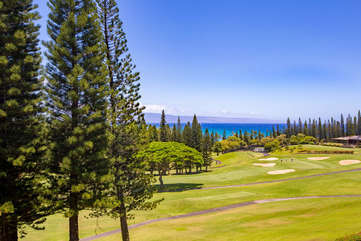 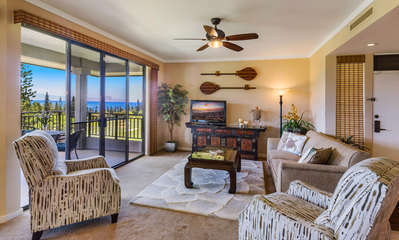 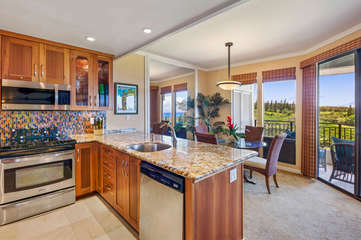 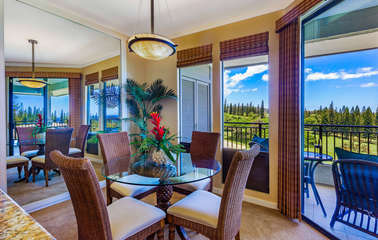 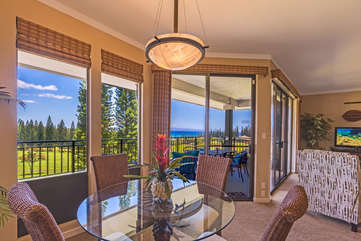 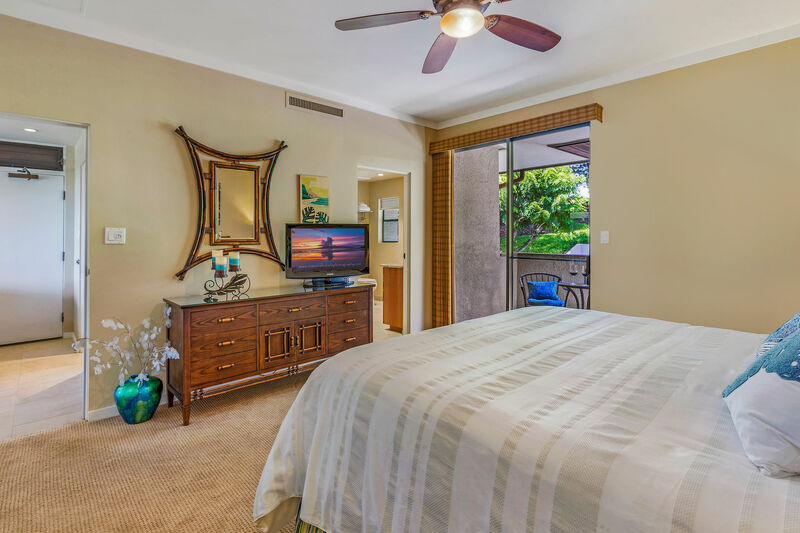 This villa is located in building 12 and is a short walk to Kapalua Bay and the Pineapple Grill restaurant. 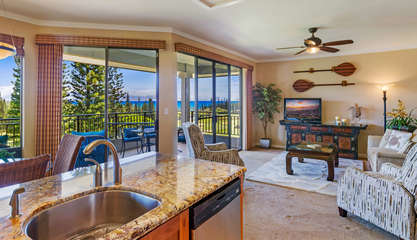 One of the complex’s four swimming pools with barbecue facilities is also located between buildings 12 and 13. 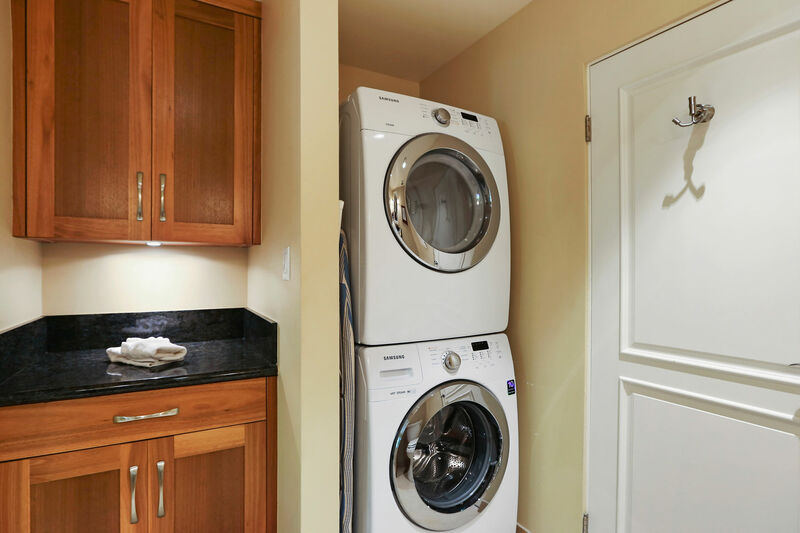 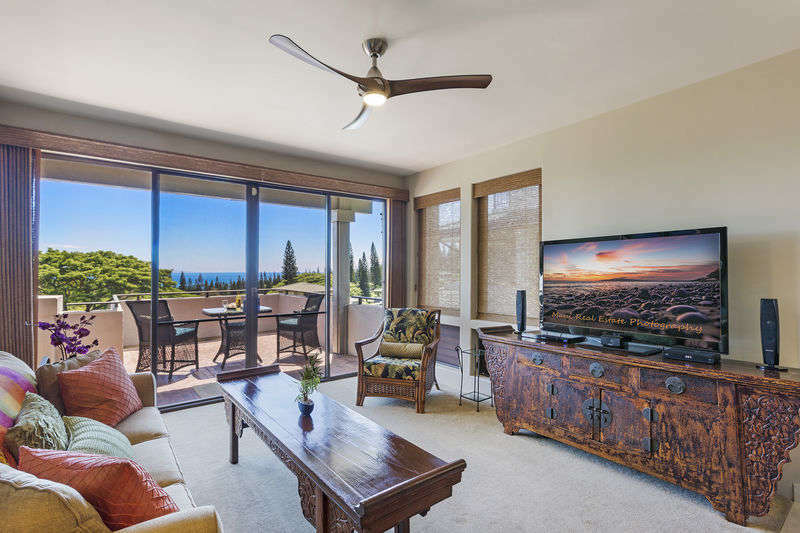 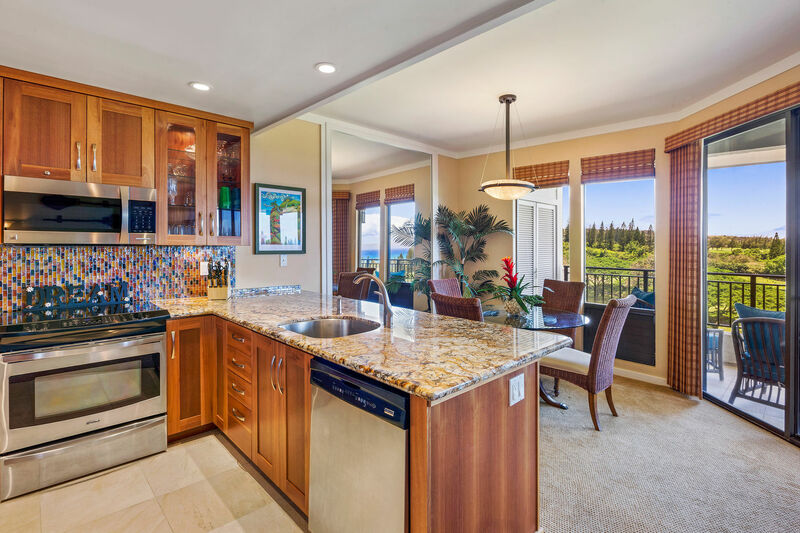 The combination of comfort, class and value can't be beat with these amenities not to mention all the services that are offered to those staying with Platinum Maui Vacations. ** Please note that a cleaning fee of $175 + tax will be charged for Hale O Mana’o Nani.